Have you tried Energy Bits? One year during the I was at The Fitness and Health Bloggers Conference I was on twitter and noticed a company tweeting about their Energy Bits. 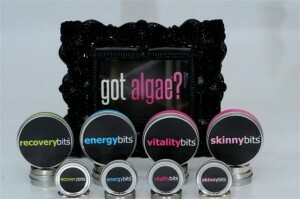 Energy bits are made from 100% organically grown Spirulina Algae. This piqued my curiosity. I am currently looking for more organic, all natural ways to fuel my body for training and racing so I was eager to give this a try. After expressing some interest in Energy Bits I received an e-mail from the Brand Manager and also their CEO/founder Catharine Arnston. They were excited to share information about the start of the company and their products which is now on the market nation wide. This is a huge plus for athletes looking for a way to provide their body with fuel that is easily digestible and helps to provide sustained energy as well as more immediate energy. Energy Bits are a great source of protein that is completely plant based and considered to be a food and not a supplement. This sounds like a huge benefit for me as I am a very “salty sweater (you know sweat, not wool haha)” and often find my electrolyte levels to be rapidly depleted. So now let me take you back in time for a minute to tell you about why I was so ready to jump on trying Energy Bits because lets be honest not everyone would jump at the chance to snack on algae. . . . This was not my first time trying algae . . . When I was at Colby College, I was an rower with aspirations of making the national team as a lightweight rower. During the summers I rowed with several different development programs. During the summer before my senior year in college I spent the summer rowing on Lake Onondaga in Syracuse, NY at the Syracuse Rowing Center with Coach Mike D’Eredita (Finnish National Rowing Coach in 2001 now Executive Coach). He was very health conscious and looking to improve his rowers’ performance through a more unique approach to nutrition. During that summer of intense 3 a day workout sessions in my lightweight single I first started using blue/green algae (spirulina) as a supplement in capsule form upon Mike D’s recommendation. It definitely helped to give me an energy boost then during grueling speed, and over-distance workouts. In fact I am not sure why I ever stopped taking the supplement. When I found Energy Bits on Twitter I knew I had to find out more and look into adding in Spirulina algae back into my workout fueling regimen. I was fortunate to be able to meet the Energy Bits Brand Manager when I was working at the Falmouth Road Race Expo with Athletes for a Fit Planet. He told me Catharine Arnston’s (CEO/founder) story of developing Energy Bits after her sisters experience fighting Breast Cancer led her to choosing an alkaline diet. An alkaline diet is is a diet consisting of foods that are mostly green and fresh such as spirulina algae. Her sister became a survivor and attributes much of her healing to this diet. Catharine decided to return to school to become a nutritionist which eventually led her to create Energy Bits. 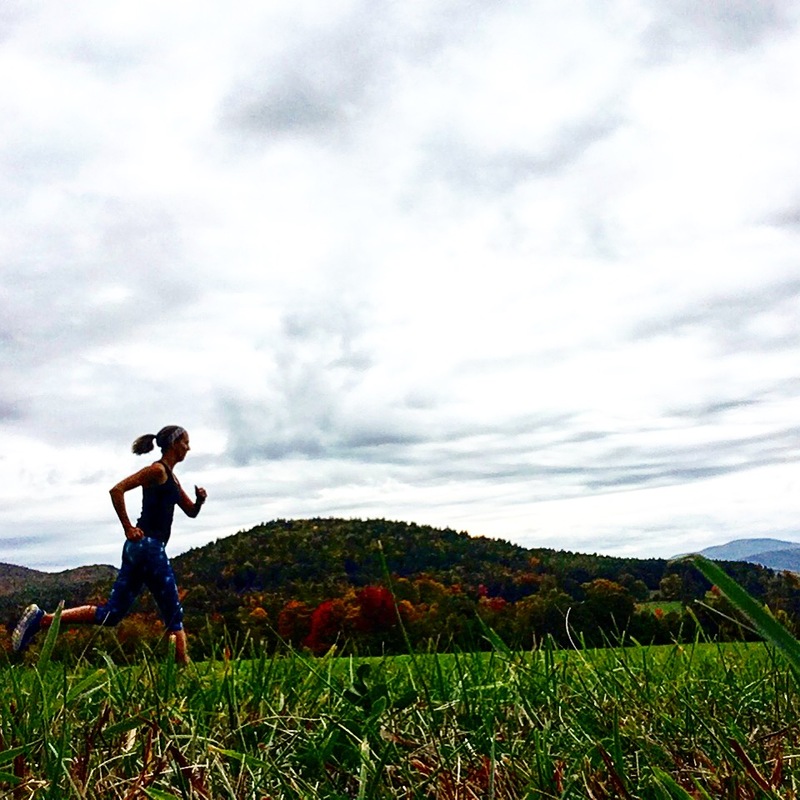 Energy Bits–How to use them to help with performance. Run Better with Bits. Energy Bits. When I tried Energy Bits for the first time I decided to swallow rather than chew them as I was not sure about chewing thirty bits. Because of the high level of chlorophyll in the energy bits my hands were left with a green hue which is okay by me as it’s my favorite color. I took the “bits” with water swallowing 4-5 at a time. Interestingly when I swallowed them they left somewhat of a fruity aftertaste which was good and surprised me. When trying new “fuel” for a workout I often worry that it will upset my stomach but thankfully this was not the case! I then met my friend Bridget at the trail-head and went out for a 6 mile trail run. Although I had felt tired earlier I felt newly refreshed and somewhat more mentally clear. I didn’t feel a huge boost at the start of my workout but felt strong and energized as we ran through the woods past the gorgeous late afternoon Connecticut River. 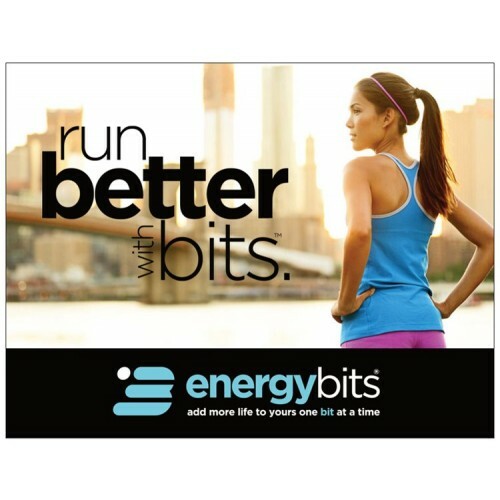 Overall my first experience with Energy Bits was a success and I am going to continue to use them before running. 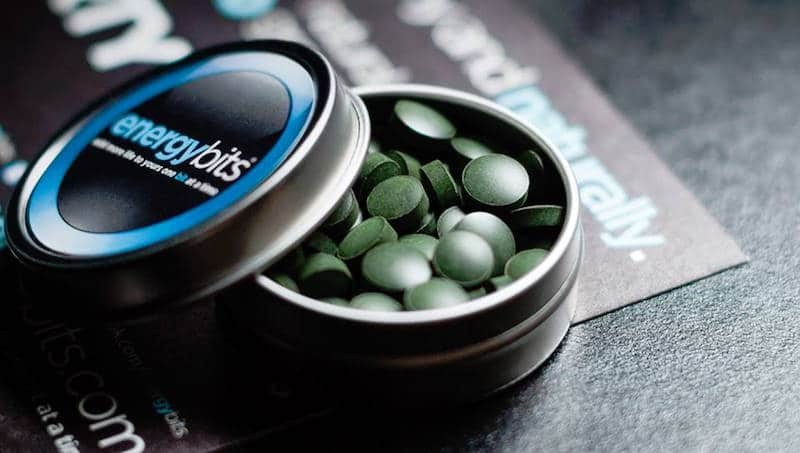 Have you tried Energy Bits yet? 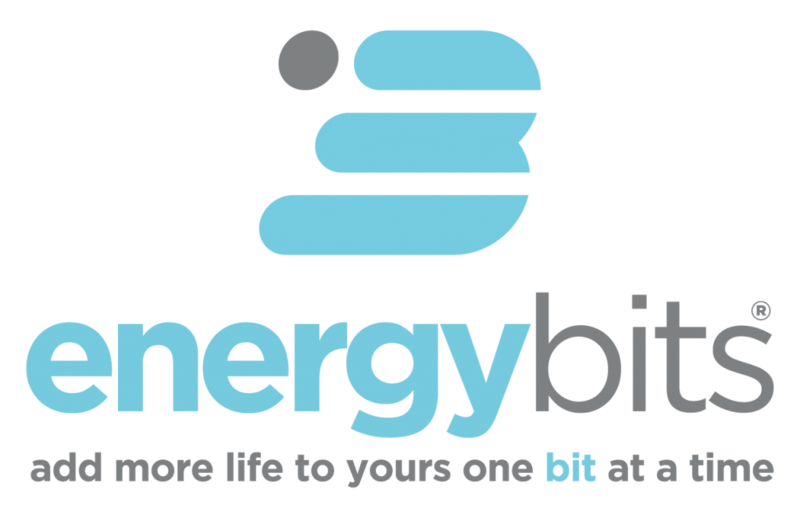 If not you should check out their website to find out more about Energy Bits and their other products, Skinny Bits, Vitality Bits, and Recovery Bits. 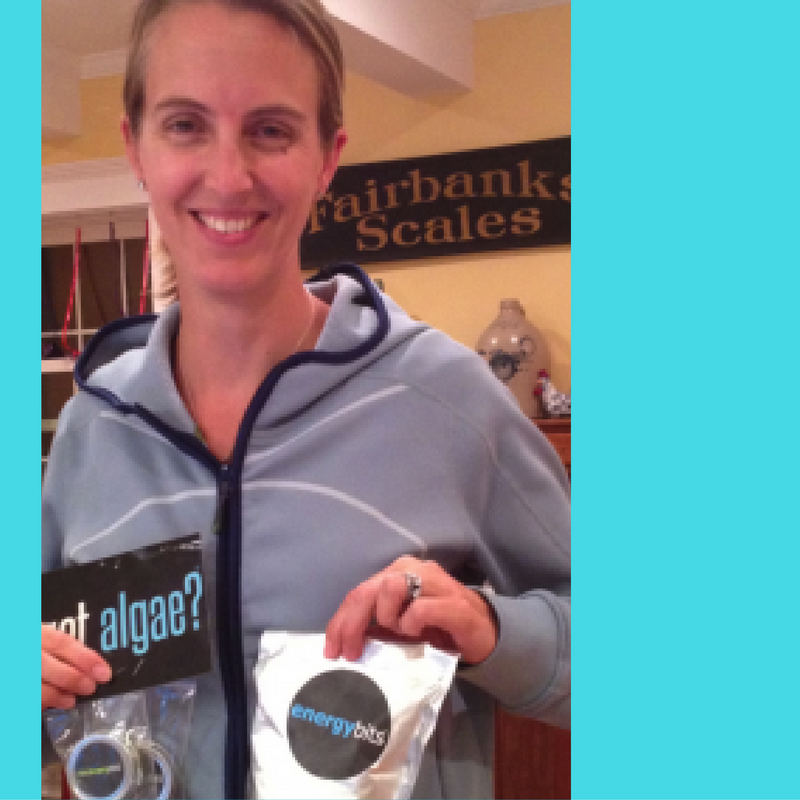 Thank you for reading my post and for sharing what you know about Spirulina as well! I received a sample of the SkinnyBits. I made the mistake of chewing them; not the best idea! I haven’t tried them since, but I still have some left to sample. I’m thinking I may try blending them up in a smoothie. Blending them in a smoothie definitely sounds like another good idea! We love energy bites too! We did a review and give-away for them recently and just totally support this product for being healthy, all-organic yet a great workout enhancer. That’s so cool that you got to meet the brand manager! I love when I can put a face with a brand.